Digital technology pervades the modern cultural heritage institution. In library collections and archives, implementation of digitisation projects for conservation and preservation are rapidly becoming the norm. Technological developments allow for convenient digital conversion and as research becomes further dependent on availability of online material, demand and access to the material can be ‘dramatically improved’ post digitisation. Preservation of vulnerable material and teaching and learning are often cited as reasons for digitisation of library and archive material. Many digitisation projects are adapted to fulfil research needs as well as ‘effectively becoming a marketing and publicity tool’. As the role of cultural heritage institutions changes from the temple (a place of contemplation or wonder) to a forum (for negotiation and experimentation, free of elitism) they are expanding their ranges of exhibitions, use of interactive learning and media. Many institutions endeavour for conversational attitudes when engaging with the public. Library collections, archive and other cultural institutions mirror those changes to promote openness and dialogue with the viewer. In research oriented digitised library collections, the goal is the creation of reliable and discoverable documents, while other challenges become present when working with digitized collections with the purpose of public engagement. 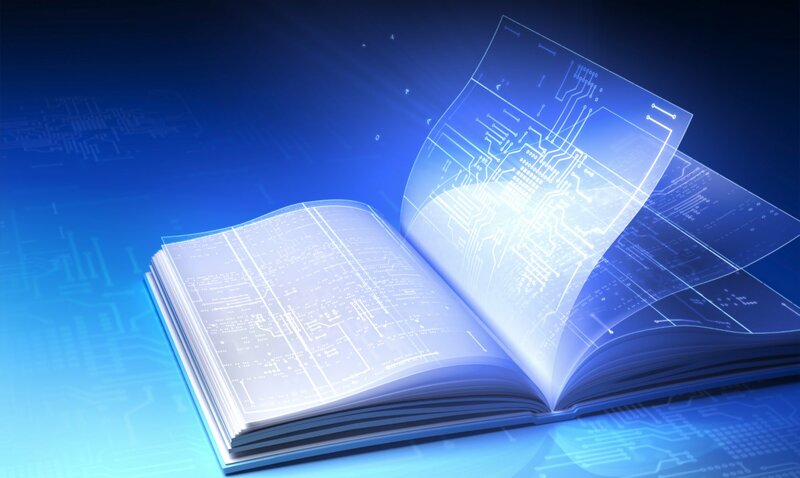 Though set-imaging standards can create passable versions of a book or document for information, the physicality of the object is lost in the translation from object to digitized image. The loss of connection to the physical, ‘real’ object occurs from the loss of the ‘aura’ of authenticity that is inherent when viewing in the physical object. Digital media within cultural institutions is evolving with technological growth and to fully use technology to connect with audiences, discussion on the interaction between physical and digital object, and its relationship to the end user, can help further the goals of library and archive collections. Library collections and archives endeavouring to engage with the public via online digitized collections must employ techniques to create connection and meaningfulness for the online viewer. ‘Material words carry weight- aura, evidence, the passage of time, the sign of power through accumulation, authority, knowledge, and privilege. Multimedia on the other hand, is perceived as ‘the other’ of all of these- immediate, surface, temporary, modern, popular and democratic’. Touching a historical object, there is a feeling of connection to the past, a connection to something that has proved itself simply by material survival over time. Cultural heritage materials, including that of library and archive collection, often have inherent ‘presence’: Gabrielle Beentjes describes the emotion as ‘historicalness’, the feeling of ‘how special it is to touch and study an original, historical document’. Robinson, quoting Brooks (2006), speaks about the ‘fascination about handwritten papers from other days, a feeling of genuineness … that brings one close to the people who produced them’. Desire for the original material is a desire for the ‘authentic’ experience, a desire for validation of the artefact’s uniqueness, or as described by Walter Benjamin, as the ‘aura of its unique presence in time and space’. Of the various definitions of authenticity, when engaging with the public, the feeling of authenticity, of the unmediated relationship with a historical object, is important to consider. Visitors to museums and library or archive collections expect to experience ‘the real thing’. As an example, it is not uncommon for viewers to feel disappointment upon finding out that an object is a reproduction or reconstruction. For heritage objects, the authentic experience deals with the emotion that occurs when the interaction or experience the user or viewer expects from the object matches with actual experience of the object. According to Lynch, there are several things that are typically done (subconsciously or otherwise) by viewers to determine authenticity. Examination of provenance of the object (questions of where it comes from), forensic examination of the object (what does it look like? ), reliance on signatures and seals attached to the object (official endorsement), and comparison of the objects with other versions for consistency. These questions of what consists the ‘real thing’ are asked by users with all levels of expertise and happen automatically when looking at objects, as a means of identification and categorisation. Physical clues are traditionally used to assist the viewer in establishing a feeling of authenticity. In book and library material, hard evidence such as the feel of the pages, the weight of object in hand, the smell, and signs of age, all contribute to the historicalness of the document. As stated by philosopher Roland Barthes ‘…touch is the most demystifying of all senses, unlike sight, which is the most magical.’ Whether or not the user is experienced enough with the object to be able to accurately determine official authenticity of an object is less important when regarding the feeling of experiencing an authentic object. With older documents or books, a sense of fragility and uniqueness can be evoked due to perceived rarity and importance of the items. Instructional video or documents provided by reading rooms on the handling of collection items tend to promote a cautious or tentative touch to the object, which can further the sensation of historicalness for the user. This perception of fragility can create an engaging tension for the user interacting with the historical object. The user is entrusted with the responsibility of caring for the object, in turn, creates a sense of connection with the item. For viewers without specific expertise with of library collection objects, trust for the authentic experience is reinforced through trust of the institution. Not only do museums or library collections give validity through a history of academic background, they can ‘rely upon the semiotics of a century of museological symbols … to create the aura of authenticity and ratification cultivated to communicate the uniqueness of each artefacts and seriousness of the educational experience’. An artefact has history. Its form has some fixity, and intrinsically shows something about where it came from and how it was made … a unique accumulation of responses to material imperfections ... Something about its authorship or origins is inescapably bound up in it. The difficulty of digitised material in connecting with audiences is not only creating the experience of authenticity, but also the way in which viewers perceive and use digital media. Use of digital and online media affects the level of immersion between the object and the viewer. For collections that have been digitised, the physical book can be regarded as the artefact. The digitised book is a document of the physical object. The digital image’s translation from physical analogue to intangible digital representation can make it more difficult for the viewer to engage with the material fully. The physical book, in the presence of a user, holds a sense of dimensionality and presence. Though not every angle of the book is viewable at one time, Mangen notes that the unseen sides of the physical book ‘is not absent…it is merely invisible for my presently situated, bodily perception’. By contrast, when viewing a page on a computer screen, it the digital lacks material substance, and thus has no ‘invisible dimensions’. Losing the haptic sensation of an object means that its only facet is the viewable screen image- it has no other presence to anchor it to the user. The digital image exists at an indeterminate spatial in relationship to the viewer[26i] and these ‘unmapped networked spaces’ change the viewer’s engagement with the object. Mangen also notes the numerous studies evidencing that that the loss of haptic external memory indicators in electronic reading changes the relationship of text and content to material object. An electronic display can show ‘a multitude of content that can be altered with a click. The book, by contrast, is a physically and functionally unitary object where the content cannot be distinguished form the material part’. Separation from between the material and textual reading of the book creates a loss of enchantment with the object, because the object is divorced from it physical context. Digital simulation is a disruption from its connection to material evidence and the significance of the object is replaced with information. Digital and networked spaces can feel chaotic, particularly because engaging with the digital object onscreen is ‘highly vulnerable to distractions’. When accessed online, the conceptual and figurative space of a collection is not entered by the visitor, but rather is welcomed into the space of the user. This space is not tied to a static phenomenon and this facilitates for ‘attentional switching’. Mangen speaking about differences between reading an e-book and a physical book, states that ‘what we resort to when getting bored by reading a book is usually abandoning the activity altogether’ because the technology does not allow for alternative (external) stimulation. Perusing a collection in a physical library requires a certain amount of commitment to the action. Online, entry and exit to the digital collection is rapid and is not tied to a specific external space or action. Cultural institutions function by collecting and exhibiting systems of knowledge by linking those to society in ‘such a way as to enable audiences to draw meaning form individual experiences’. Since the online collection is held in the private space of the user and the user does not enter the space of the institution, online visitors do not have other contextual anchors to the environment. This includes social interaction with other users, aura of authenticity or historicalness from the object itself, and deliberate entry and exit of the institution’s space. The digitised document does not contain a feeling of history because it is remade newly with every view. …the phrase “pervasive deceit” has stuck in my mind because I believe it perfectly captures the concerns and fears that many people are voicing about information on the internet… there seems to be a sense that digital information needs to be held to a higher standard for authenticity and integrity than has printed information. In the printed book, there can be a presumption of scrutiny of the content, and a certain rigor that must have been applied to the document before the laborious and costly task of publishing and printing for the public. Trust for the institution helps bolster the authenticity of the book; practical printing limitations hold the amount of reproducibility to a finite number of objects. To the user, it already has an inherent amount of integrity, material worth and object rarity, leading to a sense of value. While Benjamin stated that mechanical reproduction ‘withered’ the object of its aura, Walsh, however, argues that the rise of mechanical reproduction actually created the aura of the handmade, much as the rise of the digital defined what the analogue was. The handmade only became valuable after there was the industrial. In the infinite digital space, many arenas of information are not moderated. The proliferation of endlessly reproducible and easily manipulated digital documents or images inundates the senses. When concerned with user connection, digitised material can hold both a fear of the ‘pervasive deceit’ of online information, and the lack of engagement with the digitized copy. Lack of trust for the medium creates a loss of the feeling of authenticity, and the endless reproducibility makes it difficult to engage with the historicalness of the object. Regarding digital representation of archive collections, Beentjes notes ‘A common finding in these studies is that it is not text or the carrier of text that is desirable to represent, but… the story told by the collection of documents and artefacts that form the archive.’ Approaching the digital material with the intention of engagement and access to the general public is perhaps to look at digitised collections as different entity than the physical, and to use creative means to engage the user to the material. In video games, the players are immersed in virtual space through ‘transaction between space and body.’ The creation of a digitally analogous online gallery for digitised material, through presentation of high quality images and manipulation controls is a similar approach to the connecting with the viewer. It hopes to create a sense of agency and interactivity within the virtual world. However, in common available platforms of for online access, technological limitations can create an environment where the viewer is a passive rather than active participant, creating weak immersion into the digital environment. Another form of immersion occurs through our own ability to mentally create fictional and virtual worlds. This type of engagement originates from user, as an imaginative act. It is ‘maintained mainly by our own mental faculties’, and exemplified by the kind of immersion that occurs when reading a novel. Penchant for imaginative immersion can be used by digitised collections by creating hyperlinks to digital material and help the viewer create narrative to aid engagement with the digital object. One example of a newer interface that links digital space with narrative is a web interface called ‘Turning the Pages™’. Employed by the British Library among other institutions, the interface uses animated page turning and extensive manipulation functions to try and recreate the action of using a book. A thumbnail slider on the lower part of the window allows for simple navigation to pages of interest and provides a sense of the unseen, invisible dimensions, of the book. Floating windows providing additional information or interpretation appears next to the ‘open’ pages of the book. Supplementary information such as documentary video and audio material can be accessed directly, without navigational menus. Links between the digitised image and the external supplementary information is the strength of this type of interface. The narrative gaps in the digital is enhanced by the addition of a conversationally toned guide, which aids in creating a link to the material by connecting ‘content to context’. The interface takes advantage of the attentional switching in viewers by providing different types of form contextual media to immediately engage at a single click. Single purpose interfaces are not the only means of creating meaningfulness for viewers in digitised collections. The web’s ability to instantly connect and disseminate information can be used to the advantage of the institutions by encouraging interactions and dialogue with the user through established online platforms. Desire for authentic experiences can be made through the ‘democratization of information’ by hyper linking digitised image books with information, not only the content of the book, but through processes involved in care and conservation of collection material. The Brooklyn Museum discussing its use of online media to connect with the public during the conservation of its mummy collection noted the importance of short, frequently updated blog, and social media posts in conversational writing to engage the public. The museum took advantage of the conservation process to create narrative engagement for the user, and extensive linking and tagging allowed for flow between image and supplementary information. Trant furthers the notion of online linking, by suggesting building ‘museum-to-museum’ connections that can help the visitor follow trusted links, so that an individual interested in specific themes can follow links to other institutions for information and help building meaning and context within those relationships. Construction of meaning through thorough, considered, and linked online platforms can effectively create a sense of connection for the user by aiding the experience of active learning and providing a feeling of inclusion in the care of material stemming from the digitised image. Digitised material is sometimes seen as a threat to cultural heritage institutions, as a replacement to the experience of viewing or using historical objects. Updating the view of the digital as not in opposition, but rather a complimentary means of connecting with viewers is necessary to continue thinking of creative means to use the medium. The perception of the digital and digitised material as having its own function and value beyond acting as an facsimile to the physical can add to the growth of a collection, and promote institutional drivers of access, preservation and development. For library collections and archives wishing to employ digitized material as a means of public engagement, consideration of how users create meaning from interacting with the physical collection can aid in building effective digital outreach programmes. Digitisation in the UK- The Case for a UK Framework (Loughborough: Jisc Digital Media, 2013), 12. Oya Rieger, Preservation in the Age of Large-Scale Digitization: A White Paper (Washington, DC: Council on Library and Information Resources, 2008), 10 and 14. Jisc Digital Media, Digitisation in the UK, 12. Kathleen McLean, ‘Museum Exhibitions and the Dynamics of Dialogue’, Daedalus 128.3 (1999): 83-107. Jennifer Trant, ‘When All You’ve Got Is “The Real Thing”: Museums and Authenticity in the Networked World’, Museums in a Digital Age, ed. Ross Parry (London: Routledge, 2010), 307. Gabrielle Beentjes, ‘To Treat or Not to Treat: Decision-Making in Preparing Archives for Digitization’, Ethics & Critical Thinking in Conservation, ed. Pamela Hatchfield (Washington, DC: American Institute for Conservation of Historic & Artistic Works, 2013), 3. [9 Walter Benjamin, Illuminations: Essays and Reflections, trans. Harry Zohn, ed. Hannah Arendt (New York: Schocken Books, 2007), 214. Andrea Witcomb, ‘The Materiality of Virtual Technologies: A New Approach to Thinking about the Impact of Multimedia in Museums.’ Theorizing Digital Cultural Heritage, ed. Sarah Kenderdine and Fiona Cameron (Cambridge, Mass: MIT Press, 2007), 35. Gabrielle Beentjes, ‘Digitizing Archives: Does the User Get the Picture?’ (MRes diss., UCL Centre for Sustainable Heritage, 2013). 25. Emily Robinson, ‘Touching the Void: Affective History and the Impossible,’ Rethinking History 14.4 (2010): 503-520. Benjamin et al., Illuminations, 214. H. M. Gladney, and J. L. Bennett. ‘What Do We Mean by Authentic?’ D-Lib Magazine 9.7 (2003). Megan Hathaway Smith, ‘A Necessary Duty, A Hideous Fault: Digital Technology and the Ethics of Archaeological Conservation’ (MA diss. Texas A&M University, 2010), 4. Clifford Lynch, ‘Authenticity and Integrity in the Digital Environment: An Exploratory Analysis of the Central Role of Trust’ (Washington, D.C, 2000), 34. David Bearman and Jennifer Trant, ‘Authenticity of Digital Resources,’ D-Lib Magazine 4 (1998). Gabrielle Beentjes, ‘Digitizing Archives: Does the User Get the Picture?’ (MRes diss., UCL Centre for Sustainable Heritage, 2013), 4. Roland Barthes, Mythologies, trans. Andrew Leak (London: Grant and Cutler, 1994), 90. Bernadette Flynn, ‘The Morphology of Space in Virtual Heritage’, Theorizing Digital Cultural Heritage a Critical Discourse, Theorizing Digital Cultural Heritage, ed. by Sarah Kenderdine and Fiona Cameron (Cambridge, Mass: MIT Press, 2007), 350. Angelian Russo and Jerry Watkins, “Digital Cultural Communication: Audience and Remediation,” Theorizing Digital Cultural Heritage a Critical Discourse, ed. by Sarah Kenderdine and Fiona Cameron (Cambridge, Mass: MIT Press, 2007), 157. Trant, ‘When All You’ve Got Is “The Real Thing”: Museums and Authenticity in the Networked World’, 307. Jo Tollebeek, ‘Turn’d to Dust and Tears: Revisiting the Archive,’ History and Theory 43.2 (2004): 245. Malcolm McCullough, Abstracting Craft: The Practiced Digital Hand (Cambridge, MA: MIT Press, 1998), 166. Anne Mangen, ‘Hypertext Fiction Reading: Haptics and Immersion’, Journal of Research in Reading 31.4 (2008): 408. Flynn, ‘The Morphology of Space in Virtual Heritage’, 307. Mangen, ‘Hypertext Fiction Reading’, 406. Russo and Watkins, ‘Digital Cultural Communication: Audience and Remediation’, 157. Mangen, ‘Hypertext Fiction Reading’, 409. Ross Parry, and Nadia Arbach, ‘Localized, Personalized, and Constructivist: A Space for Online Museum Learning’, Theorizing Digital Cultural Heritage a Critical Discourse, ed. Sarah Kenderdine and Fiona Cameron (Cambridge, Mass: MIT Press, 2007), 283. Mangen, ‘Hypertext Fiction Reading’, 410. Russo and Watkins, ‘Digital Cultural Communication: Audience and Remediation’, 154. Lynch, ‘Authenticity and Integrity in the Digital Environment,’ 33. Peter Walsh, ‘Rise and Fall of the Post-Photographic Museum: Technology and the Transformation of Art,’ Theorizing Digital Cultural Heritage a Critical Discourse, ed. Sarah Kenderdine and Fiona Cameron (Cambridge, Mass: MIT Press, 2007), 29. Beentjes, ‘Digitizing Archives: Does the User Get the Picture?’, 19. ‘The Burnet Psalter. University of Aberdeen’; ‘Digitized Arabic Manuscripts - American University of Beirut’; ‘Manuscrits (Ateneu Barcelonès)’. Flynn, ‘The Morphology of Space in Virtual Heritage,’ 359. Russo and Watkins, ‘Digital Cultural Communication: Audience and Remediation’, 162. Witcomb, ‘The Materiality of Virtual Technologies’, 37. Kerith Koss, Jakki Godfrey, Tina March, and Lisa Bruno, ‘Digital Afterlife: Modern Technology Reveals Secrets of Brooklyn’s Mummies.’ The Public Face of Conservation, ed. Emily Williams (London: Archetype Publications in association with Colonial Williamsburg, 2013), 79. Trant, ‘When All You’ve Got Is ‘The Real Thing’: Museums and Authenticity in the Networked World’, 310.